We have teamed up with 2Checkout to provide a secure and reliable online sales platform for our products. 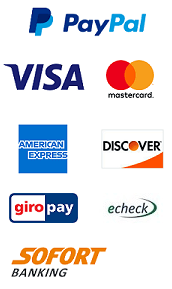 The whole ordering process is supported by 2Checkout and they handle all transaction details. 2Checkout meets all the latest online security standards so your data is 100 percent safe. Please try free or trial versions before buying a product because we don't offer refunds.